Troy Eugene Percival (born August 9, 1969) is a former Major League Baseball pitcher and current head coach at UC Riverside. He gained fame as a closer. During a 14-year baseball career, he pitched from 1995–2009 for four teams, pitching primarily with the California/Anaheim Angels. He was also an integral part of that franchise's 2002 World Series championship team. Percival currently ranks 10th in career saves. He started playing baseball at Moreno Valley Youth Federation (MVYF). Percival played on the Moreno Valley High School baseball team, before attending the University of California, Riverside, where he played college baseball for the Highlanders from 1987–1990. He was then drafted by the California Angels in the 6th round of the 1990 amateur draft as a catcher. He batted .203 in his only season as a catcher with the Boise Hawks and was converted to a pitcher when coaches noticed that his return throws to the mound were actually faster than the pitches he caught. He made his Major League debut as a reliever in 1995, and was mostly used as a setup man for Lee Smith. He was coached by his father Richard Percival for all of his childhood years. In 1996, he became the regular closer for the Angels and had 36 saves with 100 strikeouts in 74 innings. He is one of only six pitchers in the Angels' 44-year history to strike out at least 100 batters in a season without starting a game. The others are Mark Clear (105, 1980), DeWayne Buice (109, 1987), Bryan Harvey (101, 1991) Scot Shields (109, 2004) and Francisco Rodríguez (123, 2004). He had a career-high 42 saves in 1998, and enjoyed his best season in 2002 with a 4-1 record, 40 saves, 68 strikeouts, and a 1.92 ERA. That year en route to winning the World Series he was 7 for 7 in save opportunities, tying John Wetteland for most saves in one postseason (since tied by Brad Lidge, Koji Uehara and Greg Holland; Robb Nen was also 7 for 7 but blew one on the 8th opportunity). A four-time All-Star, Percival compiled a 29-38 record with a 2.99 ERA in 586.2 innings for the Angels. His 355 saves put him at 8th on the all-time list in Major League Baseball. However, his strikeouts per nine innings went down considerably after his years as an elite closer. In 2001, his K/9 rate was 11.08. In 2002, 10.86. In 2003, 8.76. And in 2004, it dropped all the way to 5.98. His fastball, once clocked consistently at 96 -100 MPH, was down to about 92 - 93 MPH in 2004, due to a degenerative hip condition that first appeared in 2003, which forced him to alter his pitching delivery. Percival's contract with the Angels expired in 2004 and he became a free agent at the end of that season. Rather than bring Percival back, the Angels decided to turn to young phenom Francisco Rodríguez to close, motivated largely by Rodriguez's much lower price tag and concerns about Percival's age and health. The Angels offered to negotiate a reduced role (at a correspondingly reduced salary) for Percival to return as a setup man, but Percival decided to seek opportunities elsewhere that would allow him to remain a closer. Percival signed with the Detroit Tigers as a free agent for the 2005 season. However, after a mediocre start to his career at Comerica Park, during which he converted 8 saves from 11 opportunities and posted an ERA of 5.76, Percival suffered a serious injury to his right forearm in early July. The severity of the injury ended his season, as well put the rest of his career in doubt. After attempting to recuperate, Percival reported to spring training for the Tigers in 2006. However, on his first outing he again suffered significant pain and left the team. After spending the entire 2006 season on the Tigers' disabled list and working for the team as an advance scout, Percival's contract with the Tigers expired at the end of the 2006 season. Though he didn't pitch a game during the Tigers' run to the American League Championship, the team voted Percival a ring and a full playoff share. Appreciative of this gesture, he used the money to buy a suite at Comerica Park for his teammate's wives. In November and December 2006, during his time off from baseball, Percival funded and himself built a new clubhouse at the Riverside Sports Complex, the home venue of his college baseball program, UC Riverside. On January 19, 2007, the Los Angeles Angels of Anaheim hired Percival as a special assignment pitching instructor. However, believing his arm to have finally healed, he requested his release from his minor league coaching contract to pursue a comeback. 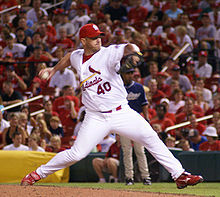 Percival signed a contract with the St. Louis Cardinals and joined the big league team on June 26, 2007. Percival was the fourth member of the 2002 championship Angels team to play for the 2007 Cardinals, joining David Eckstein, Scott Spiezio, and Adam Kennedy, as well as former Angels teammate Jim Edmonds. Percival made his first appearance in the Majors since 2005 on June 29, 2007, against the Cincinnati Reds. He struck out the first batter he faced, David Ross, and was also credited with the win. On November 29, 2007, he signed a two-year, $8 million contract with the Tampa Bay Rays. The contract contained up to $4 million in performance-based incentives. Percival was the team's primary closer in 2008. On May 22, 2009, a day after allowing 2 runs in 1/3 of an inning against the Oakland Athletics, Percival was placed on Tampa Bay's disabled list, and has not pitched since. On August 11, 2009 he announced that he was likely to retire, and would cease his attempts at coming back from his current injury. From 2010 to 2012, Percival was a volunteer pitching coach at Riverside Polytechnic High School. On September 24, 2012, Percival was hired as head varsity baseball coach at his alma mater, Moreno Valley High School. On July 26, 2014, he was named head coach of the UC Riverside baseball team. ^ "University of California, Riverside Baseball Players Who Made it to the Major Leagues". Baseball-Almanac.com. Archived from the original on 12 July 2004. Retrieved 18 December 2012. ^ "Troy Percival - Riverside Sport Hall of Fame". www.riversidesporthalloffame.com. ^ Shaikin, Bill (12 February 2007). "Percival Delivers New Home Base". Los Angeles Times. Archived from the original on 18 December 2012. Retrieved 18 December 2012. ^ "Troy Percival, Head Baseball Coach". UC Riverside. Retrieved June 11, 2016. ^ Krider, Dave. "Troy Percival hired as baseball coach at alma mater". MaxPreps. CBS Interactive. Retrieved July 30, 2014. ^ Steele, Allan. "BASEBALL: Percival to be named UCR's new coach". The Press Enterprise. The Press Enterprise. Retrieved July 29, 2014. ^ "Baseball - 2015 standings". Big West Conference. Retrieved June 11, 2016. ^ "Baseball - 2016 standings". Big West Conference. June 22, 2016. Retrieved August 22, 2016. ^ "Baseball - 2017 standings". Big West Conference. June 19, 2017. Retrieved June 11, 2018. ^ "Baseball - 2018 standings". Big West Conference. June 10, 2018. Retrieved June 11, 2018. This page was last edited on 30 December 2018, at 10:25 (UTC).